Mineco Group, already the majority owner of a couple of regional mines including the lead and zinc mines of Veliki Majdan and Gornji Milanovac in Serbia, as well as the lead and zinc mine Sasa in Bosnia, has ventured into rehabilitating the Olovo mine after four years of deliberation that was mainly the result of anticipated bureaucratic difficulties. Mineco Group, already the majority owner of a couple of regional mines including the lead and zinc mines of Veliki Majdan and Gornji Milanovac in Serbia, as well as the lead and zinc mine Sasa in Bosnia, has ventured into rehabilitating the Olovo mine after four years of deliberation that was mainly the result of anticipated bureaucratic difficulties. Dominic Roberts, the COO of Mineco Group, emphasised these difficulties, remarking how they present an obstacle in the eyes of foreign investors due to the level of complexity that follows every step of the process – albeit in different forms – from the initial phase of gaining permits and onwards. The General Manager of Geomet, Mineco Group’s Bosnian outpost, Ismar Šabović, reiterated the presence of these difficulties, attributing them to a multitude of supervising bodies in Bosnia, on levels ranging from local and cantonal onto federal authorities, all of which contribute to the slowed down process of issuing permits. However, despite the outlined regulatory complications, Roberts insisted that the mining projects in the Balkan region have tremendous geological and mining potentials, and that, coupled with the growing political determination to introduce market-wide reforms, his company is very much interested to continue with regional investments in the future. With a long term strategy based on a minimal commitment of 10 years, Mineco Group aims to employ around 250 people in its Olovo lead mine – the first newly opened mine in Bosnia in the last 30 years. In doing so, there is also hope that, apart from having a certain positive impact on the local community, this project can benefit the development of the Bosnian economy and judicial system overall. Preparations for the construction of the first mine in Bosnia and Herzegovina after 30 years have been ongoing for four years already. The international group Mineco, which invests 10 million USD in the project of the lead mine in Olovo, intends to open 250 workplaces. In early February, the Mineco group officially submitted the request for urban permit to the Ministry of Physical Planning of FBiH. 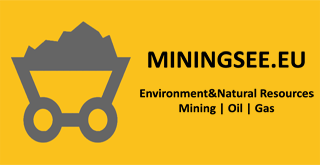 However, after the urban permit is obtained, the exploitation permit, permit for execution of works according to the main mining project and the occupancy permit must also be obtained from the Ministry of Energy, Mining and Industry of FBiH in the coming period in order for the mine to start operating. Highlighting the fact that the annual ore exploitation capacity will amount to 150.000 tons, the director of Geomet Ltd. Ismar Šabović pointed out that the entire process of obtaining all necessary permits is exceptionally demanding due to the fact that all necessary documentation must be obtained on local, cantonal and federal level, which considerably slows the entire implementation of this investment. Opening of the mine will create four indirect possibilities for employment per each employee in the mine, which will eventually have a significant effect on long-term development of local community in Olovo, as well as of the country, through all duties and taxes across all levels. “Mineco lead mine in Olovo is a long-term investment in BiH economy and we believe that all relevant institutions will show understanding regarding the obtaining of all necessary documentation and that we will soon open the first newly opened mine in BiH in the past 30 years,” Šabović concluded.